Read professional design related articles from the leading professional graphic designers in London - Logo Design London. Professional or amateur logo: what's the difference? While it may be tempting to rustle up your new company logo in a matter of minutes on the back of an envelope, believe me, it isn't going to work. Not only is your corporate logotype the most in enduring symbol of your company within your customers' and target customers' minds, from a technical perspective it needs to work in a variety of sizes and a multitude of circumstances. · An amateur designer may fall into the trap of following the latest trend in design, forgetting that two or three years down the line the result is going to look dated. · Over-designing is a common fault made by the inexperienced. Too many colours and multiple special effects will result in a dog's dinner of a logo. Shadows, patterns, bevels and overlays all detract from the simplicity of a design and should be used with extreme caution. Stick with clean lines and just one or two colours for maximum impact. · The amateur is often tempted to use multiple typefaces, cursive scripts or shadows and reflections. Corporate logos must be legible as thumbnails, so keep the text to a minimum and keep it simple. · You will need to have the ability to resize your logo from a thumbnail to much larger applications. To make this work your logotype should be designed using vector graphics software. If your designer uses a raster image, your logo will look pixelated when you blow it up — the sure sign of an amateur design. · If you're starting up a new business, it's understandable that you'll be looking to do your logo as cheaply as possible. However, do not succumb to the temptation to use stock images. Not only will you run into copyright difficulties, but you may also see your logotype image in someone else's artwork. · One big mistake that beginners often make is failing to understand the market for which they are designing. They come up with something to their own personal taste, rather than reflecting the business the logo will be used by. A professional designer will have done their research to ensure their design will be appropriate. · The chances are that your amateur designer will produce something derivative, a pale imitation of a big-name logo that's already out there. But if you really want to make an impact with your logo, then you need something new and unique — and in a crowded marketplace, that's harder than you think. When it comes to logo design, it really doesn't pay to cut corners. Your logotype design is your corporate fingerprint and the most constant image in the public view. If you don't get it right from the start, you'll only face a costly redesign further down the road — and that will put you back immeasurably as you try to build brand recognition. Do yourself a favour and use a professional designer. Check out our additional articles: The History of Logo Design, You Logo Trademark Rights and Information, Why Quality Stationery Design Matters?, Why You Logo Design Not Work! 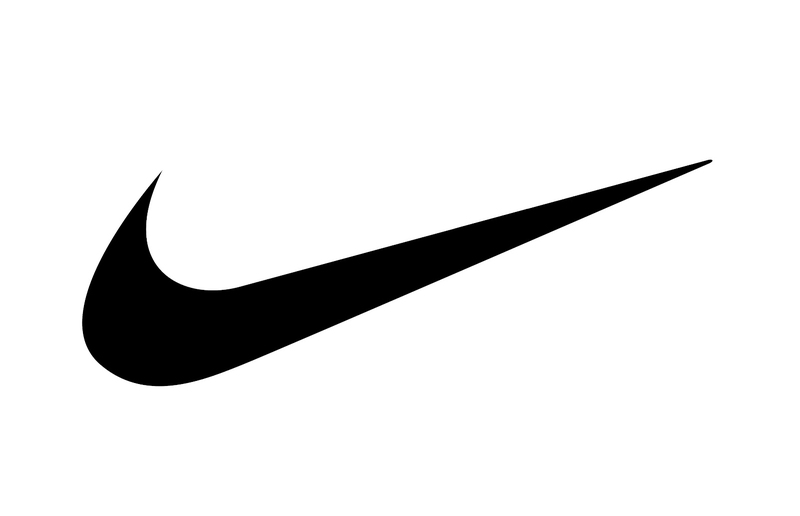 Most great logos are deceptively simple in their design - the Nike swoosh or McDonald's golden arches - what could be simpler than those? But that doesn't mean they're easy to design. In a single tiny image you will need to distil the character and essence of what may be a global corporation. It will need to work on both a practical and an intellectual level: foolproof to use while imparting a universally understood message. Here's a run down of the basic dos and don'ts in logo design. Following them won't guarantee your next design will be the new swoosh but they should make it better than it might have been! If you don't know or understand unique selling point of the company you're designing for, then you can't hope to translate that message into a simple graphic device. Use the company history for inspiration and the corporate aspirations for direction. By the end of the process you should feel like you know their business better than your own. Yes, you do need to research the logos of your client's closest rivals but if you produce something derivative of a competitor's logo, it's sure to be rejected. Your client wants to stand out from the industry crowd; they're looking for something better than the competition, not similar. Take your inspiration from other industries and other areas of design and mix things up to create something totally new. After all, they know their business and the market they operate in, and they may have some viable insights that will send you in the right direction. The reason they've employed you to do the design is because they value your input as an experienced designer. This is your area of expertise, so have the confidence to put their ideas to one side and go with your own. Sit down with a blank the paper and an open mind and let the ideas flow. Make quick sketches of anything you think of, even the ones that you don't think the client will go for - the ones that are too silly, too far out or too edgy. Let your mind wander and your ideas will start to develop. Doing this risks suppressing the creative urges and missing out on an even better idea waiting in the wings. And if, for some reason, it doesn't work out, it'll be all the more difficult to go back to square one and start again. This is especially critical if you're designing a logotype or wordmark, but it holds true for any logo that incorporates lettering. Bear in mind that logos are often reproduced in small sizes, so you need something that's clear enough to read as a thumbnail but will work equally well blown up on a poster or vehicle. And generally speaking, stick with just one font. The colours used in logos speak volumes, so don't drown out your message with a cacophony of multiple hues. One or two contrasting colours will have most impact but if you choose carefully, you can get away with up to four. Remember, too, the psychology of logo colours: green implies eco-friendly; blue and grey are associated with professionalism; pink works for products with a feminine bias; red is dynamic or even a little aggressive. A logo will stand out more if it is clean and simple. Highly detailed drawings become difficult to decipher at thumbnail size and multiple elements can end up looking like a dog's dinner. Take your initial good idea and simplify it. Then strip it back even further if you can. For even greater impact, keep the area around the logo free of clutter. Specify an exclusion zone that must be maintained around the logo at all times so that it will stand clear from adjacent elements. A brilliant logo doesn't spring ready formed into its designer's head simply to be churned out on paper. A great design grows and evolves through several stages. At every point you may benefit from the input of others, so show it to your design colleagues and, at judicious intervals, to your client. You don't have to take on board every comment they make but sometimes a pair of fresh eyes can make all the difference.